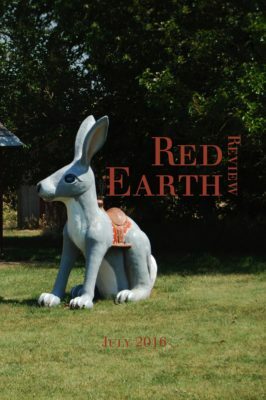 Red Earth Review, a literary magazine published by the Red Earth MFA program at Oklahoma City University, will be accepting submissions for our sixth edition beginning October 1, 2018. 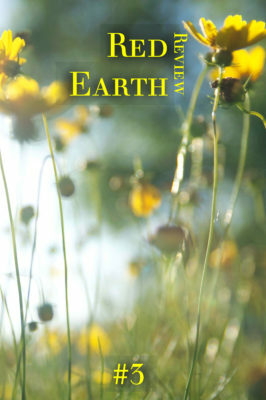 Much like the program that shares its name, Red Earth Review seeks writers who are genuine, grounded, and fearless. Send us poetry or prose that is firm in the foundation of its craft and steadfast in its soul. Our submission guidelines are below. We look forward to reading your work. We accept fiction, both literary and genre, creative nonfiction, poetry, and encourage new and emerging writers to submit. The deadline for submissions is November 1, 2018 or 300 submissions, whichever comes first. Our Submittable page will not have an active category open until October 1, 2018. The target release date is July 2019. Submit one to five previously unpublished poems or one short story (fewer than 7,500 words) or one essay (fewer than 7,500 words). Poets: Please submit each work separately--in other words, please do not put more than one poem in a file. You'll need to make new submissions for each poem. Submissions should be in a word document file (.doc or .docx). If our Submittable page says "No Active Categories," before November 1, then we have reached 300 submissions. 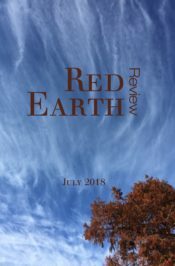 Red Earth Review has chosen to limit the number of submissions in order to assure that we can give submissions the readings they deserve. Please include a bio in the bio section of the submission form; bios must be 100 words or less. Submissions that do not follow guidelines on the Submittable page will not be read. Click this link for our Submittable page. Simultaneous submissions are allowed, but if your submitted work is accepted elsewhere, please withdraw your submission using your Submittable account. 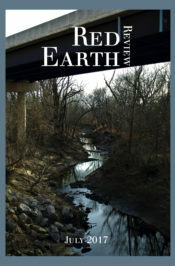 Payment is a contributor’s copy of Red Earth Review. After first publication, all rights revert to the author/artist. 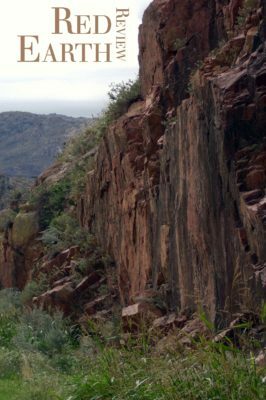 We reserve the right to determine whether material submitted should be published or not. To read a free electronic versions of our previous issues, click the menus below, then click on the cover image to take you to its respective issue. 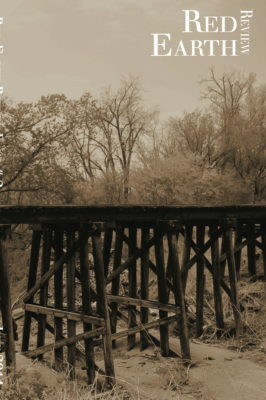 Click the cover image to open in Issuu.